While I’m not a huge “pie person,” I really do enjoy pumpkin pie. There’s something about it; the texture, the creaminess, and the yummy spices that are baked into it. Mmmmm …. It’s a staple at our house during the fall months, and it always makes an appearance at the Thanksgiving dinner table. Traditional pumpkin pie often contains condensed milk, sugar, and oftentimes a pre-baked shell, all which are not desirable if you are dairy- and/or gluten-free. 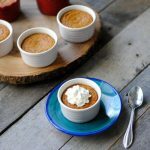 So today I’m excited to offer you another option that tastes similarly to pumpkin pie, but contains no gluten or dairy, is crustless, and can literally be mixed up in minutes. 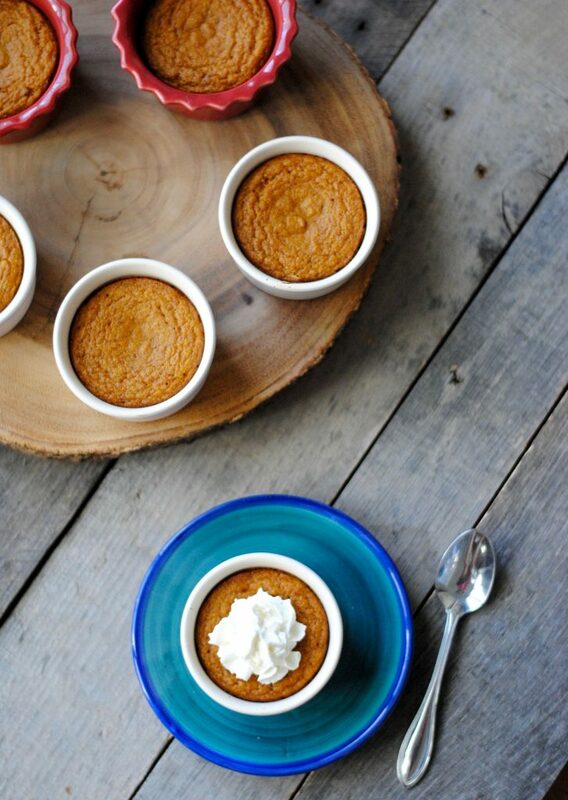 The recipe most resembles an easy pumpkin custard, though the end result is similar to crustless mini pumpkin pies, which is the name I’m going with. But let’s not get too hung up on the name – let’s get to the recipe, because I know you’re gonna love it. Spray 6 ramekins with coconut or avocado oil. In a medium-size bowl, mix pumpkin and eggs. Whisk to combine. Add coconut oil, maple syrup and vanilla. In a small bowl, mix dry ingredients. Add to wet ingredients and stir to combine. Divide mixture into ramekins, filling them 2/3 of the way full, and bake 32-35 minutes. Ramekins are a necessity for this recipe. You can likely find them at Target or Home Goods, but here’s an economical, versatile set. Another reminder on pure canned pumpkin, such as this, as opposed to pumpkin pie mix. You’ve seen it before – my favorite spray to use is super clean. 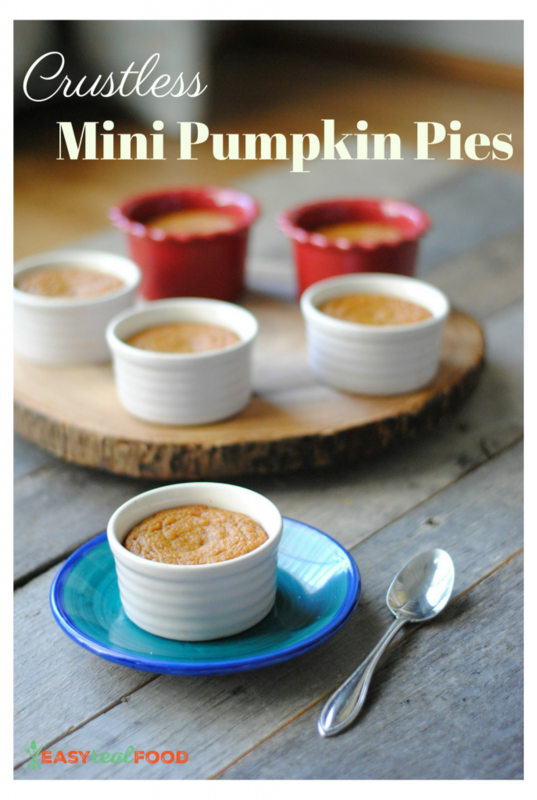 Let me know if you love these crustless mini pumpkin pies as much as we do:).